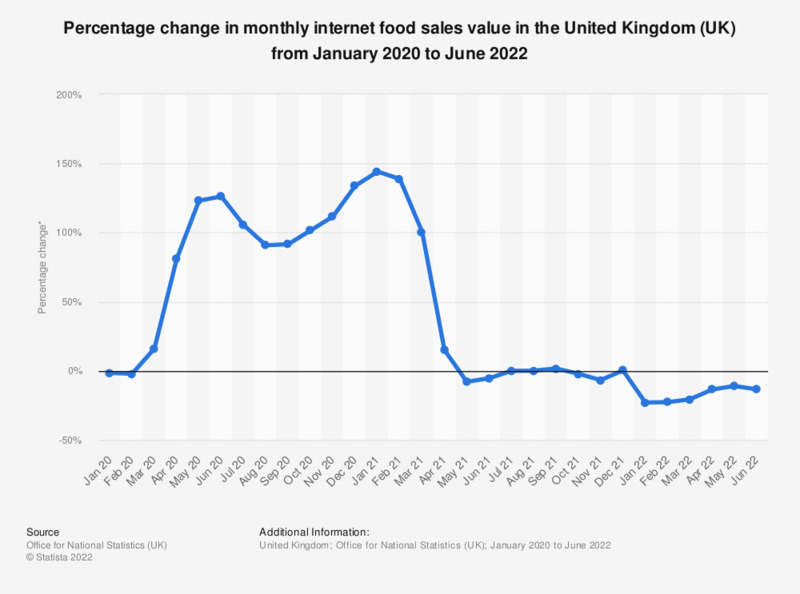 This statistic displays the monthly trend in the value of retail internet food sales in the United Kingdom (UK) from January 2013 to December 2018. In December 2018, internet food sales increased 4.1 percent with respect to the same month a year earlier. * Values are seasonally adjusted. Includes retail food sales at "predominantly food stores." ** Percent change on same month a year earlier.